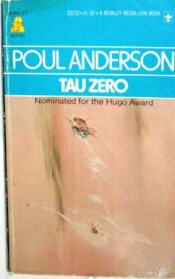 1) NASA’s Geoffrey Landis, who writes science fiction himself recommended the now classic Tau Zero by Poul Anderson. Known for combining both interest in its characters’ emotional lives and a fascination with science and technology–qualities often at odds in science fiction–the novel cents on a ten-year interstellar voyage with humans leaving Earth knowing everyone left behind will be dead and gone by the time they return. The fifty crew members are a highly-trained team of scientists and researchers, but also a community of individuals, each trying to make a life for him or herself. When the voyage takes an unexpected and disastrous turn for the worse while passing through an uncharted nebula, the crew faces a difficult choice. 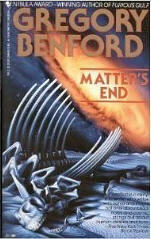 2) 1994’s Matter’s End by Gregory Benford is a collection of twenty-one stories features unexpected revelations at a masquerade party, a devastating California earthquake, a complex computer game that becomes a matter of life and death, and more. In the titular story, “Matter’s End,” particle physicists in India find that protons do decay as predicted by some Grand Unified Theories, with dire consequences for reality. Benford excels at hard science fiction and using scientific concepts to inform his stories. 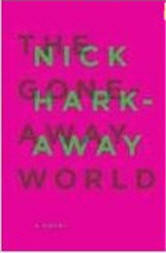 3) Nominated for a 2009 Locus Award for Best First Novel and a British Science Fiction Association Award for Best Novel, The Gone-Away World by Nick Harkaway posits a world in which bombs attack matter and remove information from it, causing the matter to entirely disappear. Designed as a clean weapons system with no side effects from radiation, the bombs do leave behind waste referred to as “stuff,” which floats around the world as giant storms. When these storms contact the noosphere, they copy the form of whatever the nearest human is thinking about. The result is horrific apparitions and new people appearing out of nowhere. 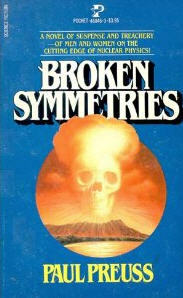 4) Broken Symmetries by Paul Preuss is a 1983 novel novel of science, politics, and intrigue surrounding the building of a giant particle accelerator in Hawaii. Preuss is a frequent science consultant to the motion picture industry, best known for his novels in Arthur C. Clarke’s Venus Prime series. Both Broken Symmetries and the 1997 sequel titled Secret Passages are works of historical fiction which touch on deep ideas in quantum physics. The main character is aged Cretan physicist Manolis Minakis and the author has done in-depth research into the political and social climate of his setting during the time period. 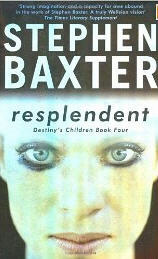 5) Resplendent by Stephen Baxter is a collection of stories encompassing mankind’s epic fight for survival against the Xeelee that examines how man will change and evolve over the eons and light years of our epic journey out into the universe. Stories touch on the rise of sub-molecular empires in the first nanoseconds after the big bang to mankind’s final transformation in the last moments before the end of time. Full of cutting edge science, descriptions of time and space on a mind-boggling scale and memorable all too human characters. it is both the capstone to one of the most significant series in the history of SF and a remarkable achievement in its own right. Baxter is a mature and uniquely talented writer at the height of his powers. 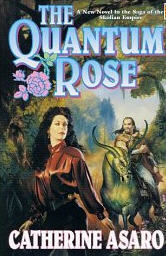 6) A rare fantasy novel that blends in hard science concepts, The Quantum Rose by Catherine Asaro, the sixth in her acclaimed Saga Of The Skolian Empire series, combines space opera, hard science fiction, military science fiction, future history and romance potently in an interplanetary addventure that considers an approach to war rarely considered in the genre. A Nebula Award finalist and Homer Award recipient, Asaro has a Ph.D. from Harvard in Theoretical Atomic and Molecular Physics and uses Quantum Scattering Theory in this story to describe characters relationships to each other. The result is a compelling and complicated genre-blending tale. 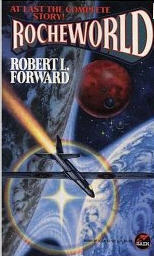 7) American physicist Robert L. Forward’s science fiction novels are infused with science. In Rocheworld, Forward describes a double-planet system with a single shared atmosphere and ocean, and a beam-powered, light-sail propulsion system an interstellar space ship uses to get there. Forward has been praised more for his science concepts than his plots and characters and his treatment of hard-science topics has been compared to of the work of Hal Clement. He described his first novel,Dragon’s Egg, as “a textbook on neutron star physics disguised as a novel.” So physicists, in particular, may find his theories and approaches of interest. 8) Physicist and science fiction writer/editor David Lee Summers, whose day job is as an astronomer at Kitt Peak Observatory in Arizona, recommended Vernor Vinge’s A Deepness in the Sky for its good use of space physics. 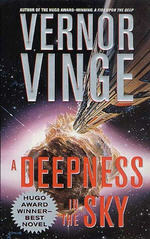 A 1999 Nebula Award Nominee for Best Novel and the winner of the 2000 Hugo Award for Best Novel, Deepness is a story of courage, self-discovery and the redemptive power of love. Facing first contact with an alien race, two human factions wait on the edge for the planet to reawaken when its strange star relights as it does every two hundred and fifty years. Drama and terrible treachery ensue with one group fighting for its freedom while the aliens play a role neither faction expected. 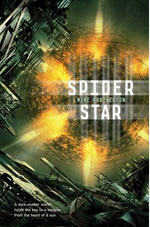 9) Summers also recommends fellow astronomer Mike Brotherton’s books Star Dragon and Spider Star. In the former, a probes sends back hours of video revealing a creature made of fire that lives, moves and dances in the plasma fire of a double star. A human expedition undertakes a perilous journey to investigate, leaving behind their homes and lives knowing they won’t return until 500 years have passed. Of course, conflicts results from both crew emotions and their encounter with the Star Dragon. In Spider Star, a human colony which has long exploited technology aliens left behind is threatened when archeologists accidentally activate a terrible weapon. A ship and crew are sent into the unknown seeking the weapon’s creators with hopes they can negotiate for information on how to disable it before it’s too late. 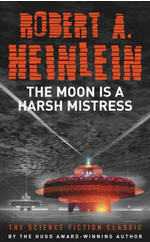 10) Summers’ third recommendation is The Moon Is A Harsh Mistress by Robert Heinlein, a great cheerleader for physicists. The physics employed in the story is still accurate today and the tale remains a gripping account of revolution on the moon in 2076 where “Loonies” are kept poor and oppressed by an Earth Authority which turns huge profits at their expense. A small band of dissidents, including a nearly omnipotent computer named ‘Mike,’ ignite a revolution despite the near certainty of failure and death. A classic from one of science fiction’s great masters. So there you have 10 science fiction reads physicists might enjoy for their science. Of course, as both my experts remind me, like anyone else physicists just want to read a really good story. What are some books you might recommend? @BryanThomasS @sfsignal @jeffrutherford Thanks for the great reading list! @BryanThomasS In a manner of speaking… We are educating future physicists! So #scifi in edu is important for imagination and creativity. @FCF_Plus Yo estoy por empezar el primero de la lista (me lo debía desde hace tiempo).